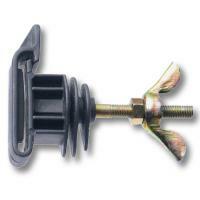 Adapter for round poles insulators. 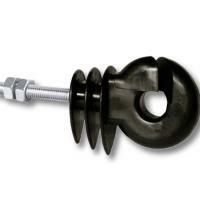 Easy Collar Adjustable adapter allows the mounting collar on round poles from 35mm up to 70mm, for insulators with iron screw 6mm. Easy to install, just tighten the screws with a screwdriver. Switch easily between the mesh. 1 piece.